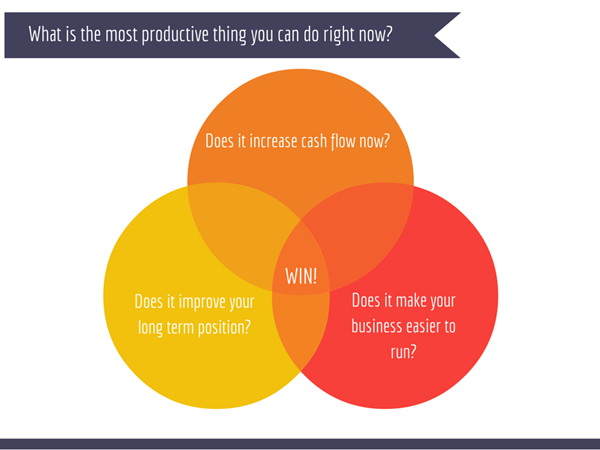 What’s the Most Productive Thing You Can Do Right Now? I have to confess. Even though I am able to run a multi-site Ecommerce business and several side projects, it’s all a facade. I am a sufferer of Shiny Object Syndrome. It’s a daily struggle. Currently I am in the process of launching a Pinterest marketing campaign, building a new ecommerce course, running my core business, and doing all the other things we all need to do. 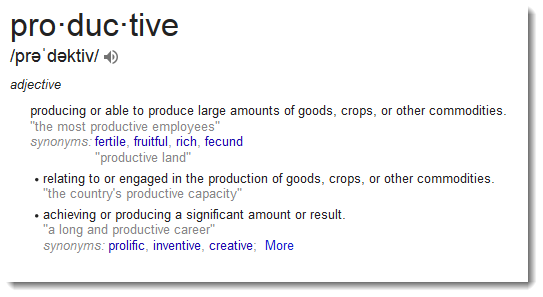 What’s the most productive thing you could be doing right now? Such a cruel thing to ask – it demands that you close a bunch of browser tabs, and forget about your favorite blogs, comics, news sites and everything else out there that pulls you away from what you should be doing. The difference between amateurs and professionals is that professionals do what needs to be done, whether they want to or not. Yep. Most of us know exactly what we SHOULD be doing, but we’d rather be doing something else. Does it increase cash flow right now? Maybe putting your old treadmill on Craig’s List is not the most exciting thing on your list today, but it could throw off $400 – and now you can run that ad campaign you’ve been itching to try. Does it improve your long term position? Those are just off the top of my head – I am sure you can come up with plenty of your own. Does it make your business easier to run? A lot of people overlook this one. But you should be thinking about it – its what they call a “force multiplier” in the military. • Ask yourself – Is this activity / item really necessary? Sometimes we find ourselves doing things just because we have always done them – maybe they don’t matter so much anymore. A great example of this is keeping paper documents. There is no reason for it in most cases. The War of Art by Steven Pressfield …… Classic. If you don’t have it, get it. On Writing by Stephen King ….. An inside look at a guy who writes so many books, he can’t keep paper in the house. Do you have a favorite books or websites you visit related to productivity / goals? Please share them below.